Real estate investment and advisory firm Fife Capital has paid $8.55 million for a freestanding industrial property in Ingleburn in an off-market transaction. 6 Inglis Road, Ingleburn, is a freestanding industrial property comprising of two warehouse /factories with ancillary office and amenities, concrete paved hard stand plus surplus vacant land. Positioned on a site area of 35,600 sq m, the property has a GLA of 6,922 sq m plus additional awnings and related 8,500 sq m of hard stand. The property was sold on a yield of 7.4%. 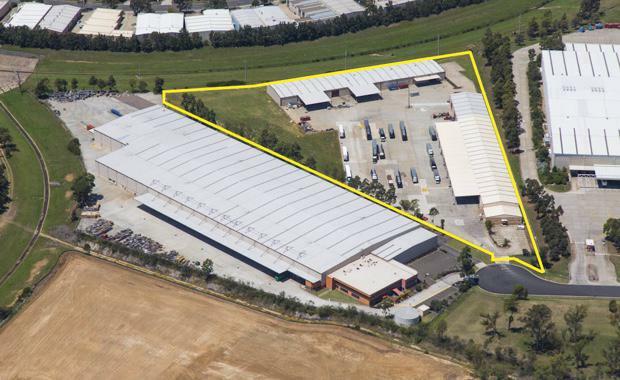 The deal was brokered by Ray Trimboli and Moshe Greengarten of Savills Parramatta Industrial & Business Services. Mr Housam Yakzan, Savills Research, also noted that the industrial investment market is set to remain extremely strong. The property is strategically located, with direct access to both the M5 and M7 motorways and is on the Sydney, Canberra and Melbourne truck route, 40 kilometres to Port Botany and 45 kilometres to Sydney CBD.